Couch potato. 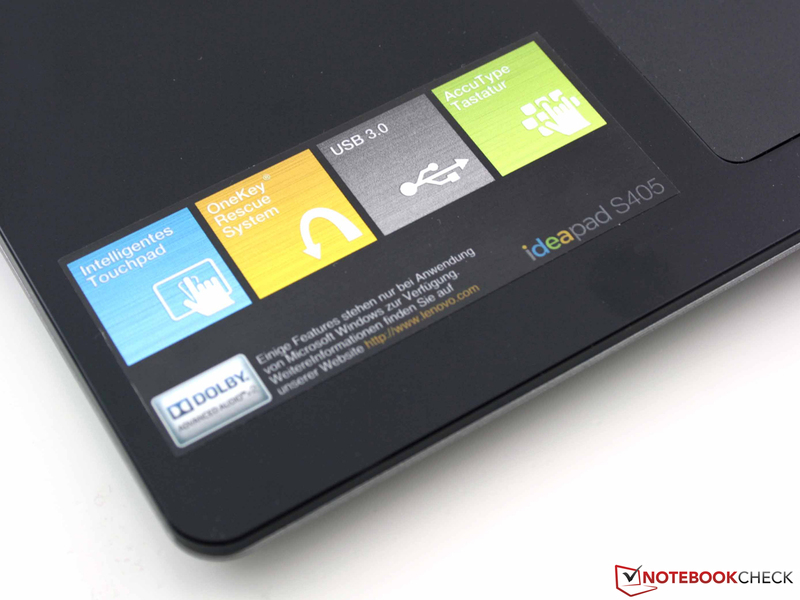 Lenovo's IdeaPad S405 comes with a Trinity quad-core and a light case and is very quiet. But, how do its dark glare-type display and its 32 Wh battery blend in with mobile ambitions? 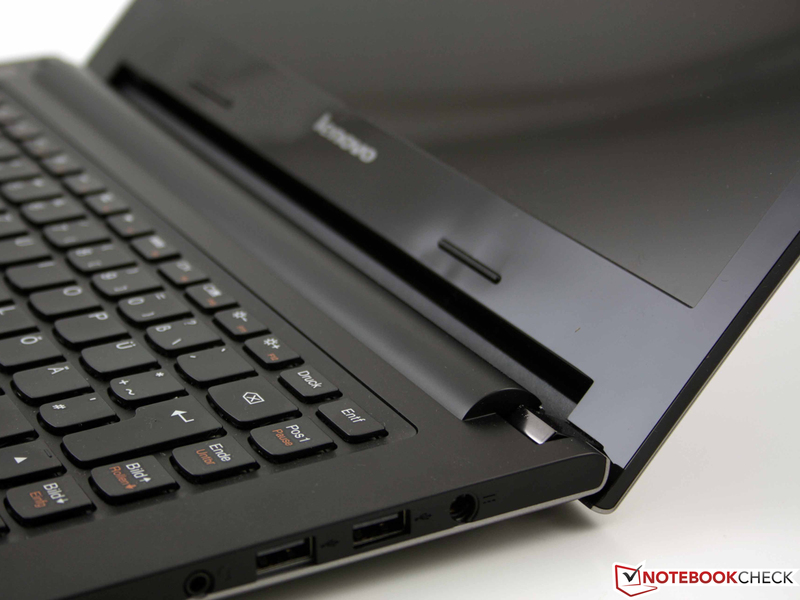 Lenovo IdeaPad S405: Does it deliver more mobility thanks to AMD Trinity? Whoever is looking for a mobile laptop, can choose between plenty of models. If you do not prefer a special manufacturer or look for specific components (CPU/GPU/SSD/FHD-TFT ...) the price is the only purchase criterion. In filtering for a price of less than 550 Euros (~$719), the flood of offers shrinks to a manageable number. In the 13- and 14-inch range, AMD A4-4, AMD A8-4 (Trinity, successor of Llano) or AMD E- and E2- (Bobcat) models are left over with this price filter, whereas the cheapest Intel models are equipped with Celeron or Pentium B CPUs. However, more advanced models based on Intel platforms use Core i3 or i5 (Sandy Bridge / Ivy Bridge) processors. 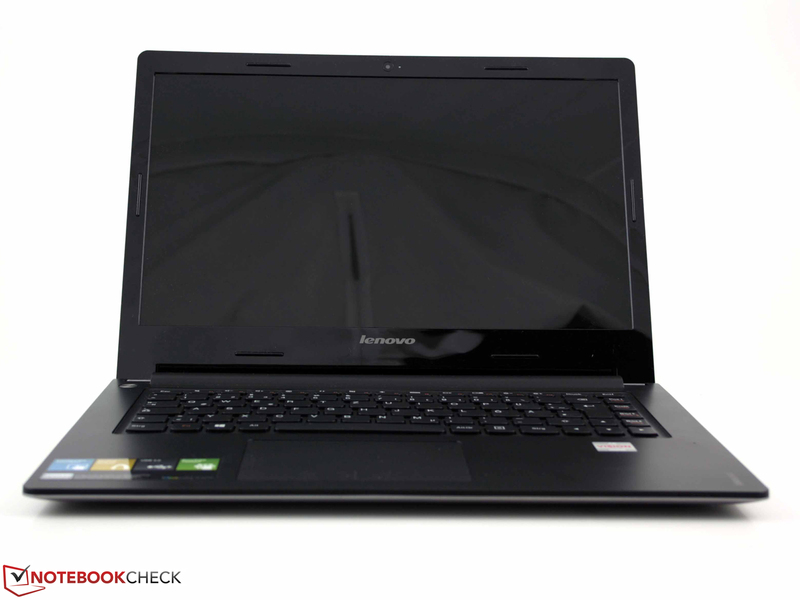 The reviewed AMD configuration from Lenovo attracts attention with its A8-4555M quad-core APU. 4 x 1.60 GHz are remarkable in this price range. Does the competition have to hide? The silver case is the same as the IdeaPad S400's and has the same weaknesses. The specified height of 22 mm does not take the big feet at the rear into account. With them, we measure 26 mm at the rear. Never mind! Everybody else does it too. However, we really dislike the weak build quality of the base unit. 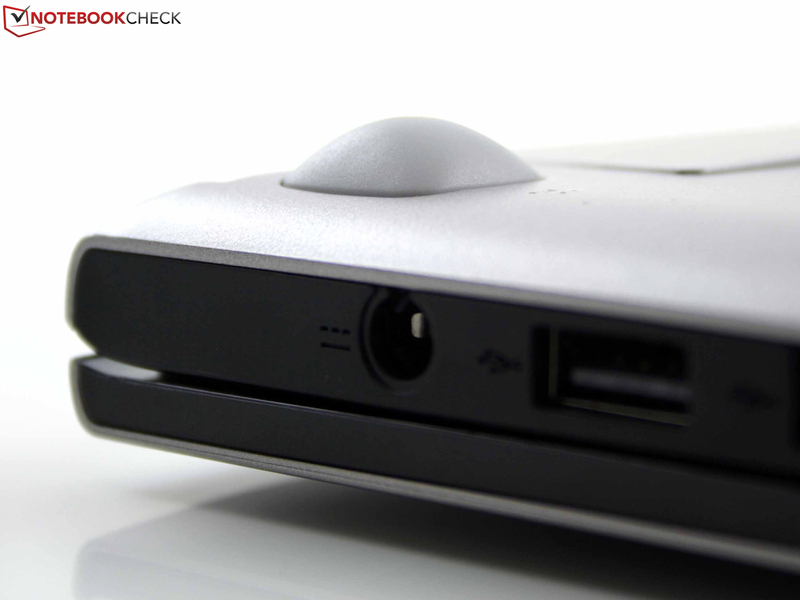 It noticeably twists and significantly yields under medium pressure applied to the touchpad. The hinges have a soft stop and appear to be attached to the base unit via a diminutive connector. It is possible to noticeably dent the lower part of the lid. Furthermore, the lid can be twisted to some extent with both hands. In general the surfaces are precisely manufactured, but scratches and abrasions will quickly collect on the coated plastic. This is true for the lid as well as the base plate. The palm rests are made from solid-colored, black plastic and is therefore less vulnerable. The S405 does not have any maintenance hatches. As with the S400, it is possible to loosen all screws (beneath the feet!) and remove the base plate from the case. 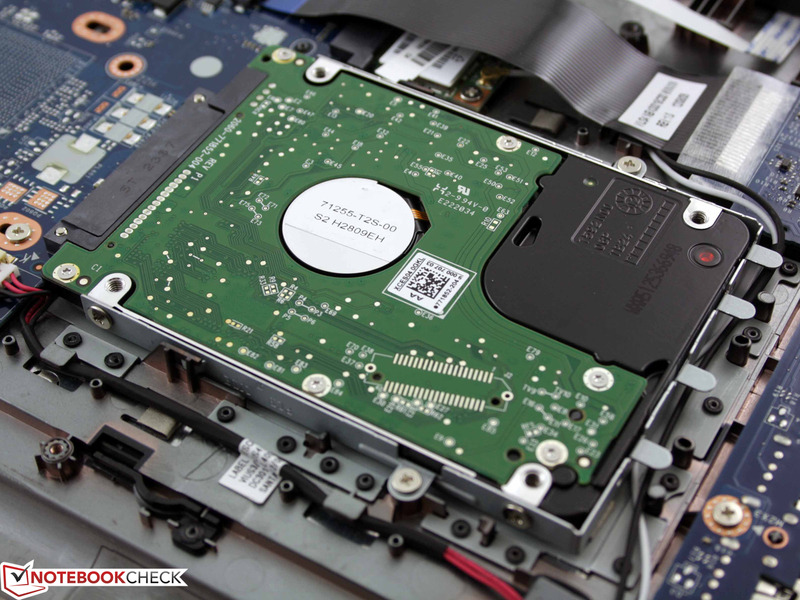 Subsequently, hard drive, RAM (1 slot), PCI Express Mini Card (WLAN/Bluetooth) and fan (cleaning) are accessible. The connectivity is still limited. VGA is missing. Only HDMI can be used to connect an external TFT. 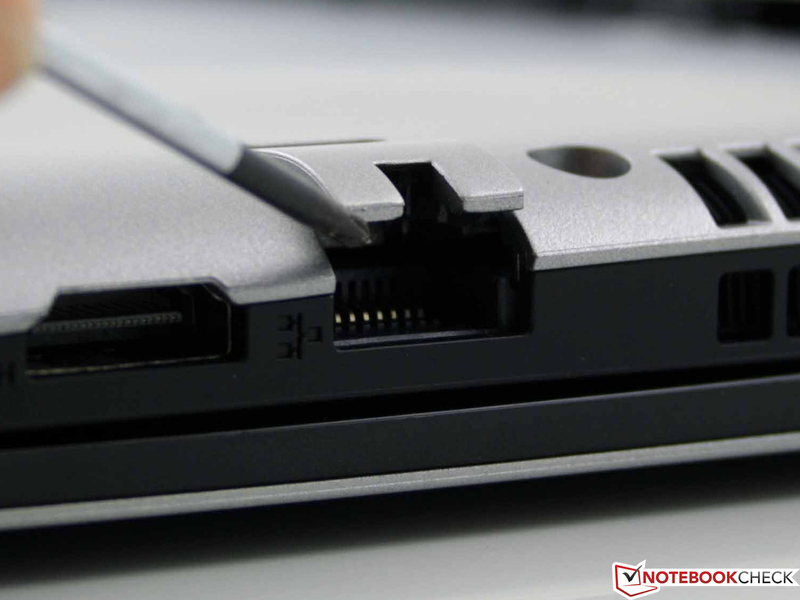 The Ethernet port is designed in a way that holds the RJ-45 connector very well. The AMD platform brings about new network components, but the range of functions stayed the same. The WLAN adapter (Atheros AR9485WB-EG) supports draft-n (b/g/n), but the wired network is only Fast Ethernet and not Gigabit LAN. The WLAN module has Bluetooth 4.0 + HS in the form of Atheros AR3012 built-in. The reception is excellent in three meters distance and upstairs (10 m). Outside the house, it quickly falls to three bars (15m) and one bar (40 m). These values are decent. The transmit power of the routers (Fritz!Box 7270) is reduced to 50 percent. The webcam has a resolution of 1280x720 pixels. Images recorded with the preinstalled Lenovo You Cam are noisy. The image quality does not significantly improve in daylight. Our test sample comes with preinstalled Windows 8 64-bit. Recovery DVDs do not belong to the scope of delivery and should be created by means of OneKey Recovery and an external burner. The OneKey key (left side) launches the backup tool. 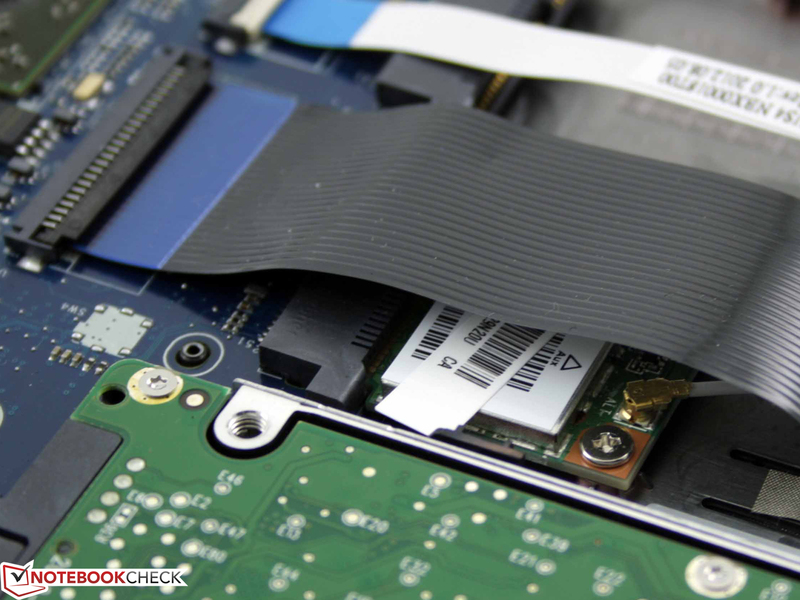 The recovery mode of the hidden HDD partition is invoked by pressing this button when the notebook is turned off. 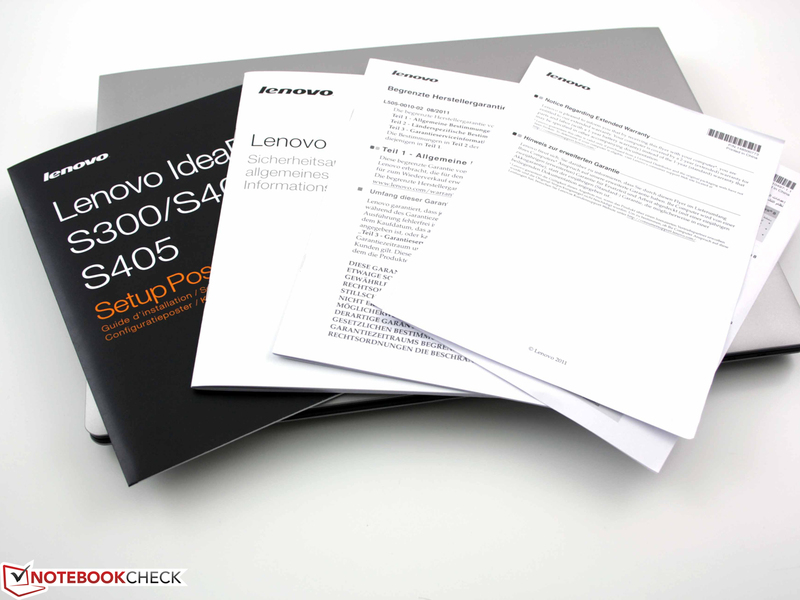 The S405 comes with a 24-month bring-in warranty. In case of a defect, the customer has to send the notebook in. 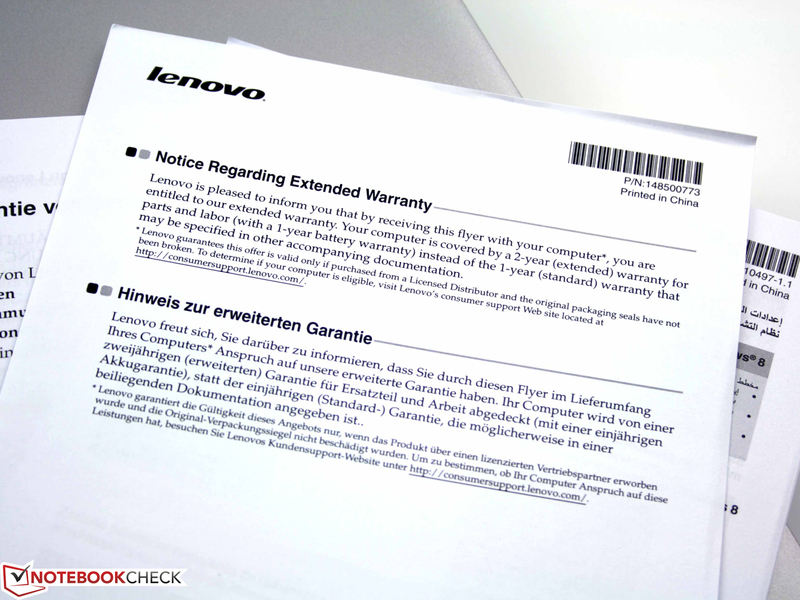 In addition, Lenovo offers a number of warranty extensions: on-site service and an extension of up to three years. The prices are manageable and easy to find out on the service page of the manufacturer. The keyboard allows quick typing, but lacks a solid, definite feedback and a crisp pressure point. The key travel is medium, typing feels soft to springy. 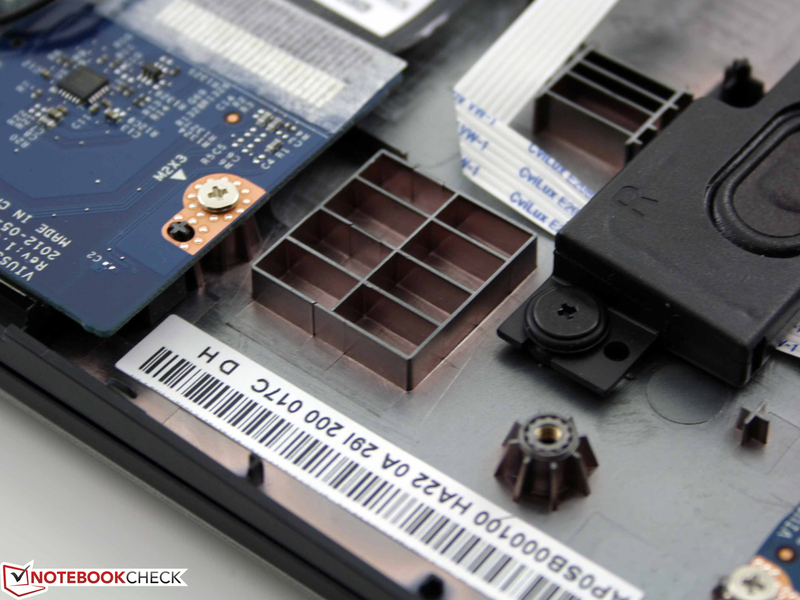 As with the S400, the keyboard base notably yields, especially in the center of the keyboard. Important keys like shift (right and left) and enter were shrunk. 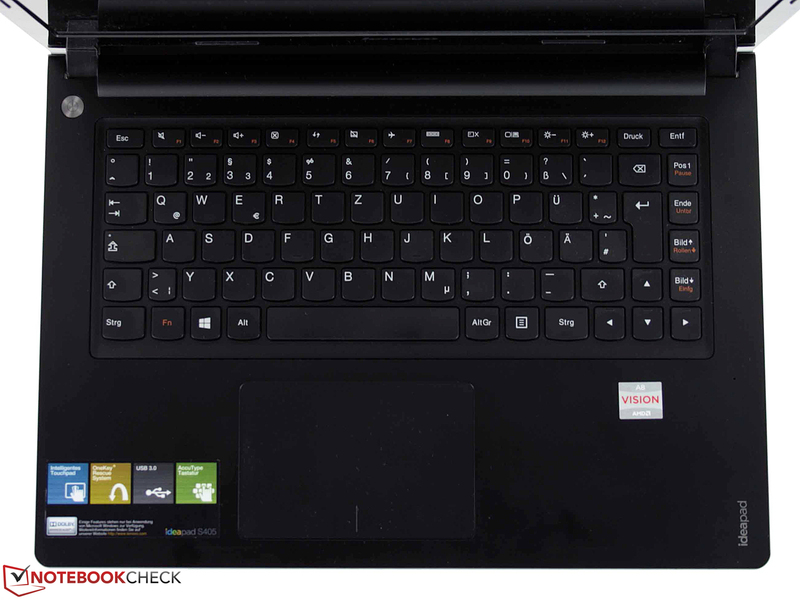 The cursor keys are standard size and the touch type markings can be felt clearly. The big touchpad (diagonal: 12.6 cm/4.96 inches) could belong to a 17-incher. The friction of the surface is adequate and wet fingers do not cause a problem. 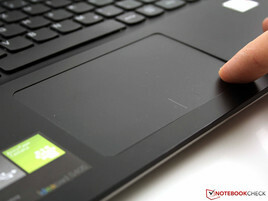 The Synaptics ClickPad quickly interprets multi-touch gestures. A central click is interpreted as a left click. Unfortunately, the travel is short and even gets smaller to the top. As the ClickPad does not move much, working with the touchpad is difficult and troublesome. The pressure point can be felt clearly and is very audible. 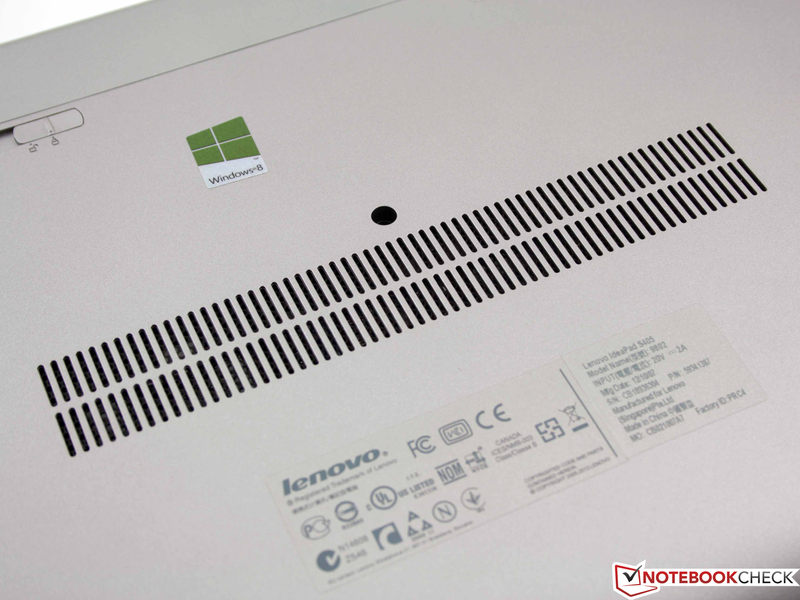 Lenovo still use the TN LED panel N140BGE LB2 from CMN (Chimei-Innolux, CMO). 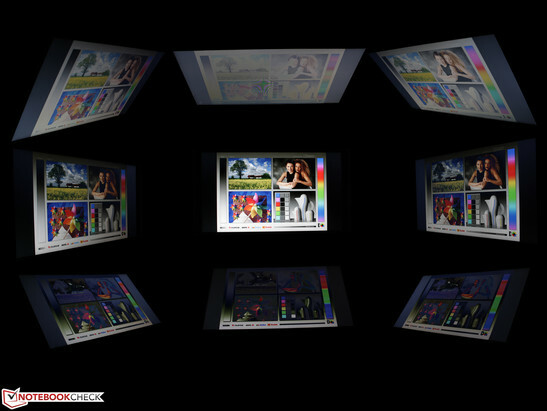 The 14-inch display delivers a resolution of 1366x768 pixels, a sufficient contrast (319:1), but only a moderate brightness. In addition, the brightness is unevenly distributed (67 percent). The darker right bottom segment can be clearly seen when the background is white. Most run-of-the-mill displays of our test sample achieve a more uniform distribution of brightness of above 80 precent. Alternatives with better brightness and anti-reflection coating are available: Samsung's Series 5 535U3C is significantly brighter (293 cd/m²) and matte. 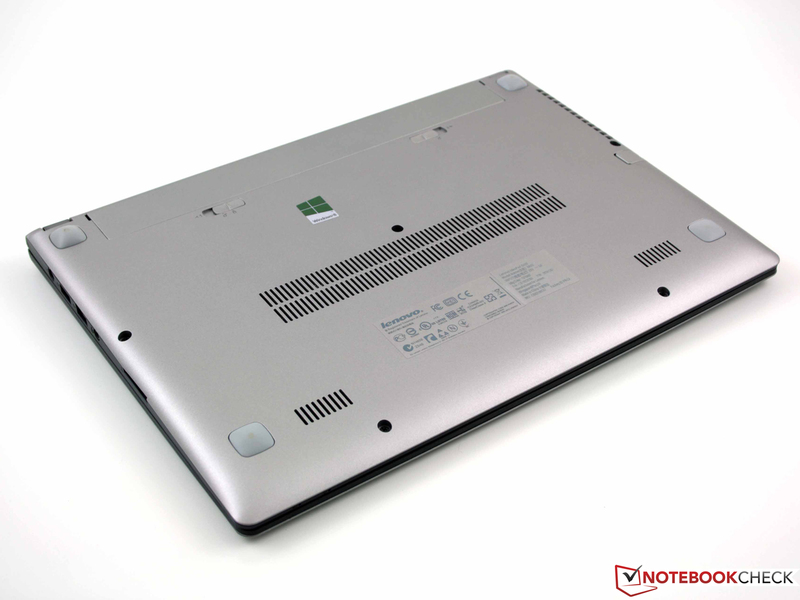 However, the Aspire V5-431, the IdeaPad U310 and the S400 have a reflective display. For the sake of completeness we also check the color space. It is very small; sRGB coverage is about 60 percent. 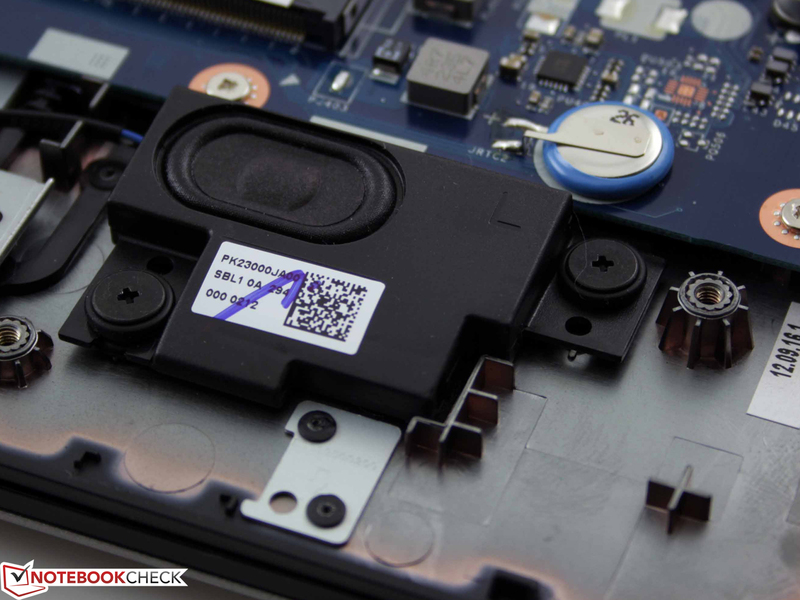 Asus' Taichi 21 proves that it is possible to perform better here. The brightness of the CMN panel of 168 cd/m² is adequate for indoor use or in the dark. However, it is not sufficient for mitigating reflections in the sun. To the advantage of the S405, the pictures were taken on a day with low cloud cover. Apart from an anti-reflection coating a brightness above 250 cd/m² is required for pleasant outdoor work. Even at the lightest vertical deviation, (from 15 degrees) ghosting (color shifts) lets images look ugly. This makes watching videos or pictures difficult for multiple persons. It is recommended to sit directly in front of the panel or move only up to 40 degrees in the horizontal direction. All things considered, these are bad conditions for a laptop panel, but unfortunately this is true for 80 percent of our test samples. The low-cost competitors mentioned in this review are similarly weak in terms of viewing angles. 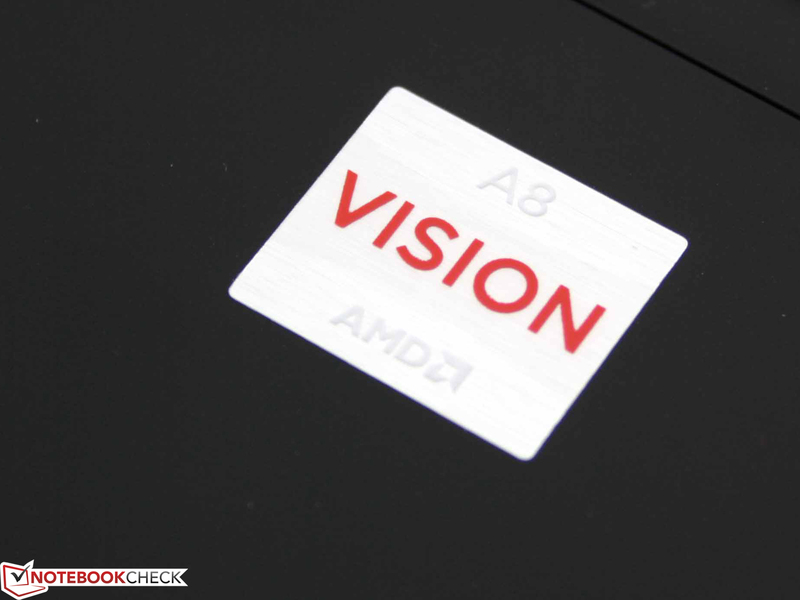 While we already tested the IdeaPad S400 (same case) with the i5-3317U at the beginning of October, its AMD counterpart S405 with an A8-4555M (Trinity, 1.6 to 2.4 GHz with Turbo) was launched at the end of November in Germany. The Core i5 model of the S400 costs only 60 Euros (~$78) more than our test sample. The S405 alternative is only 30 Euros (~$39) cheaper and comes with a dual-core A4-4355M (HD 7400G). The remaining configuration including a conventional hard drive (500 GB, 5400 RPM) is almost identical in (nearly) all S400/S405 models. Together with the Radeon 7600G the performance should suffice office and Internet tasks. However, it could get critically low in 3D games (see gaming performance). 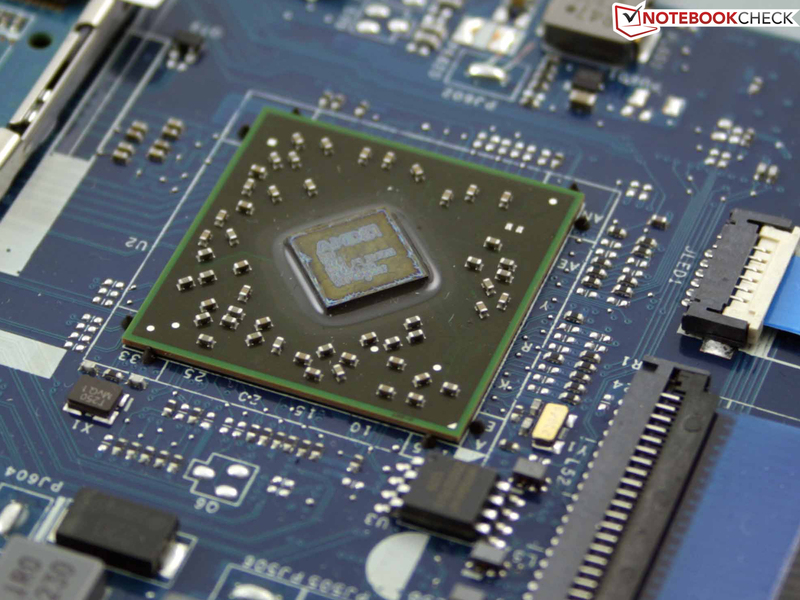 How does the low voltage quad-core CPU perform compared to competition from Intel? In the multi-threading test it is only slightly faster than the Celeron/Pentium-range (Aspire V5-431) (very similar performance). A ULV Core i3 (Medion S4216) is already 42 percent faster. 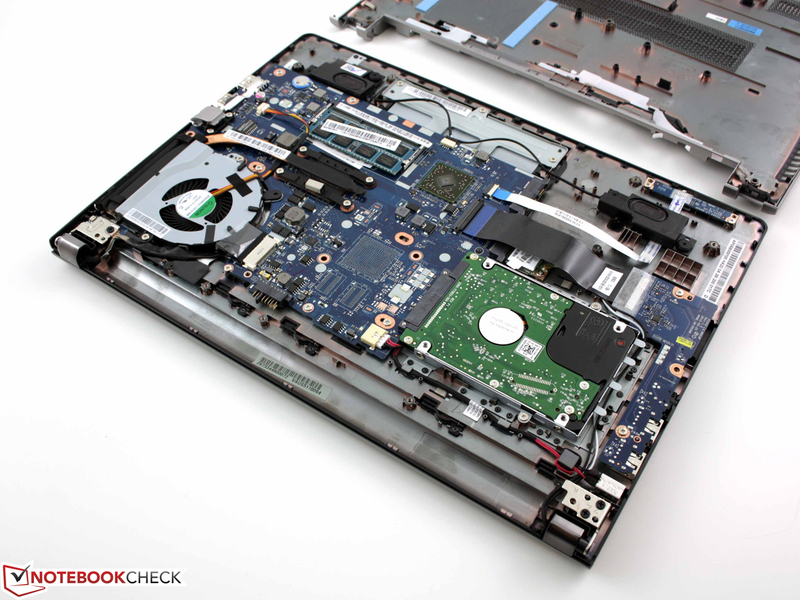 In case CPU performance is important, you should consider buying an IdeaPad S400 (i5). We won't recommend the Trinity dual-core alternative (Samsung 535U3C) as it is 31 percent slower. However, this is not true for the HD 7500G in the Samsung, which is even 71 percent faster thanks to dual channel DDR3 (OpenGL test). Because of the single channel mode of the S405 it loses all advantages compared to the HD 4000 (U310, S400) in the OpenGL test. We could not even record the 2.4 GHz Turbo clock rate in the single-core test (constant 1.8 GHz). Battery powered, the results of the Cinebench R11.5 test match the ones in mains operation. 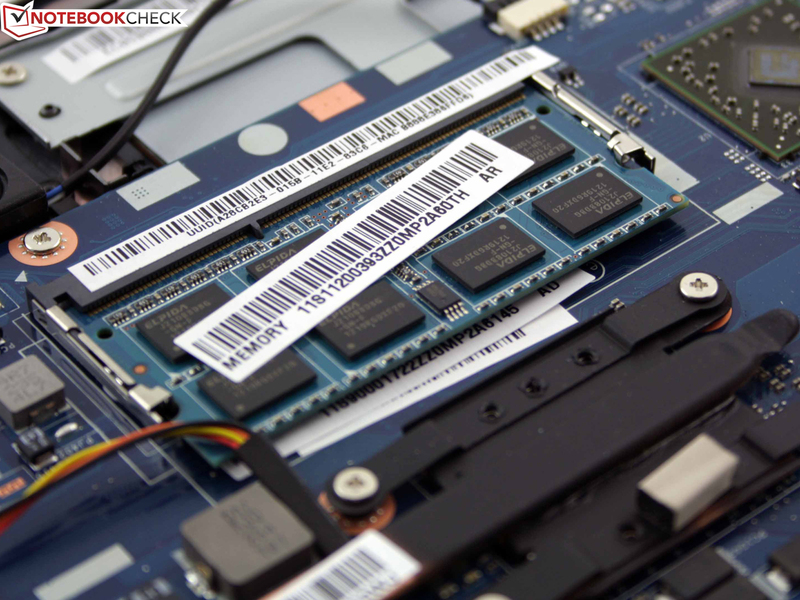 Does the processor's weak computing power have an impact on system performance? The PCMark 7 results are disillusioning. 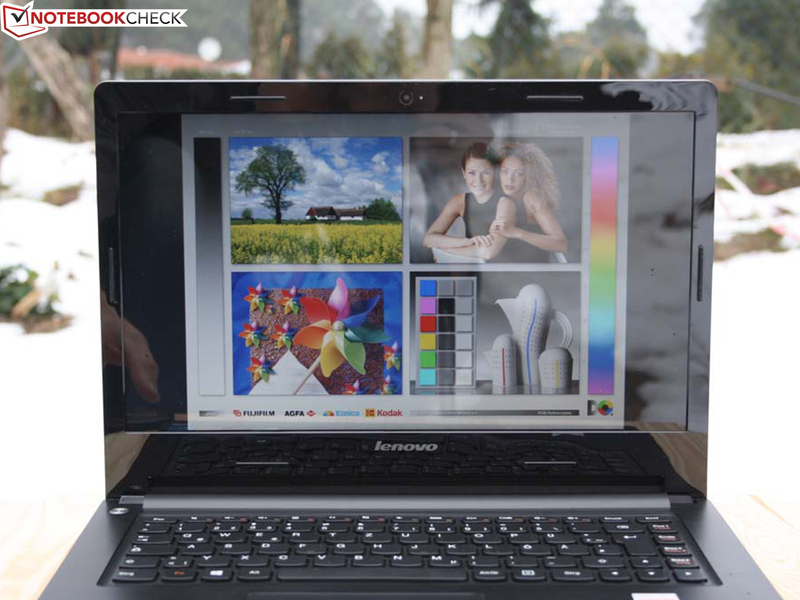 The S400 performs 48 percent better. Because of the same hard drive (WD5000LPVT, 500 GB, no SSD cache) and the single channel HD 4000 this is mainly caused by the Core i5. Akoya and U310 can not be directly compared as they profit from their SSD cache. The Celeron system (V5-431) is again outperformed though the advantage is small and hardly relevant in practice. 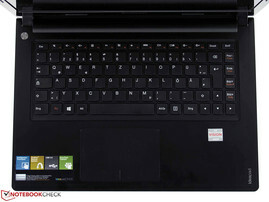 Unlike Ultrabooks Lenovo does not use an SSD cache to accelerate the slow rotating hard drive in the S400 and the S405. So, a cold start of Windows 8 is not lightning fast, but neither does it take longer than about 25 seconds (inputs possible, loading continues). The Western Digital Scorpio Blue (WD5000LPVT, 500GB) achieves bad read results in our HDD comparison. 66 MB/s in CrystalDiskMark are below average. 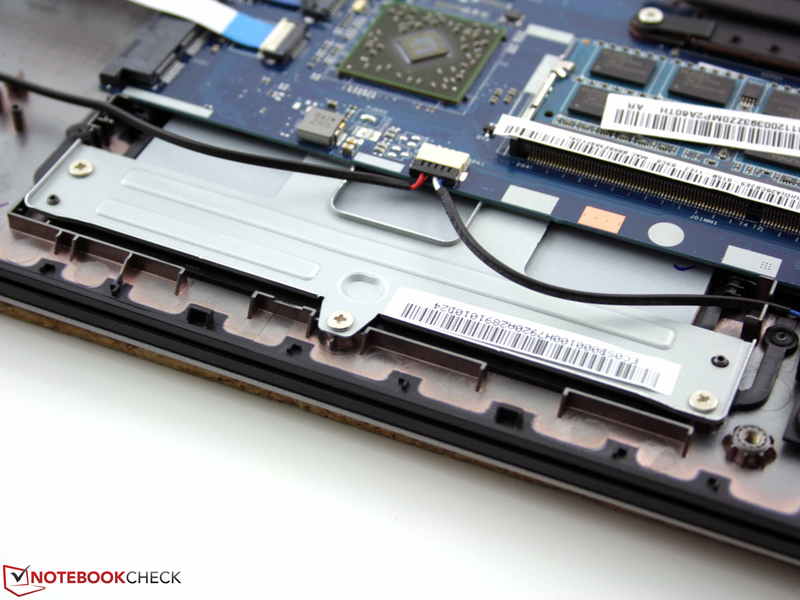 An SSD could easily improve the HDD sub score of PCMark 7 from 1,438 to 4,000-5,000 points. But this would disproportionately increase the prices of the S405 and make it uninteresting for price conscious users. The HD 7600G is part of the Trinity APU and does not have a dedicated video memory. As is already indicated by 3DMark 2006, even HD 4000 graphic chips are faster as they are incorporated in better CPUs (Test depends on the CPU). The 3DMark 11 test checks the pure GPU performance with DirectX 11. The result is on par with a fast HD 4000 (Tarox Modula Ultrabook, i7-3517U, +3 percent), but tends to be slightly better than the majority of HD 4000 GPUs in our reviews. E.g. the IdeaPad U310 (i5) performs 35 percent worse in 3DMark 11 (throttling). Without throttling the Intel GPU is about 10 percent slower. The gaming performance is shockingly low. This gets apparent when compared to the Intel HD 4000 and the Radeon HD 7450M (S300). Although the Intel graphics is slower in all games, at this low level (-9 to -40 percent) this is not a notable advantage for the HD 7600G in the S405. The dedicated HD 7450M, which was significantly outperformed by the GeForce GT 620M in the IdeaPad S300 review, achieves higher frame rates. Certainly dual channel would have been of help, but, due to the lack of a second RAM slot, it can't even be retrofitted. 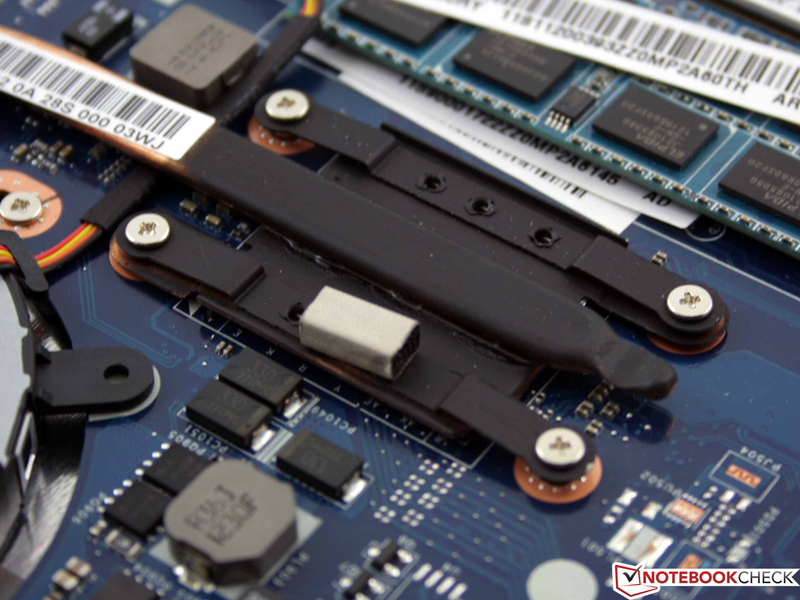 Therefore, a clear statement remains, which is supported by the gaming table dominated in red: Regardless whether games are old or new, they are a no-go for the IdeaPad S405. Even old games like Risen from 2009 must be played at lowest settings, i.e., low @ 800x600 pixels. Respect: Even under full load the fan is hardly audible and the base remains cool. Regardless of the load the S405 never exceeds 32 dB (A). With 32.2 dB (A), the somewhat disturbingly clacking hard drive drowns out the fan. The fan never turns off completely. When it slowly rotates, we can hardly hear the measured 30-31 dB (A). In our stress test (full load) Prime95 (CPU) and FurMark (HD 7600G) run simultaneously for two hours. But, the noise only increases to 31.5 dB (A). If run individually, 3DMark2006, a game or Prime95, produce a noise level of 32 dB (A). Even the similarly frugal Trinity competitor, the Samsung Series 5 535U3C gets loud during the stress test (42 dB (A)). 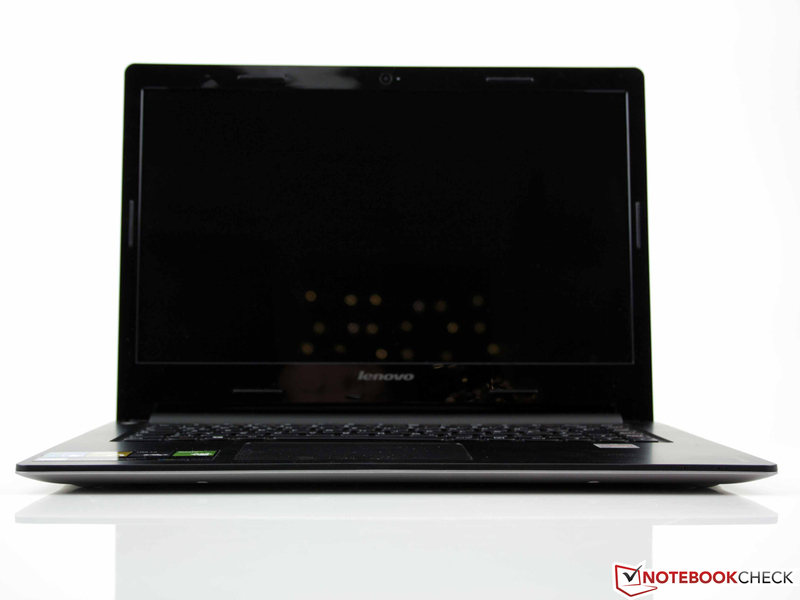 The noise level of the IdeaPad U310 and the S400 are comparably high. While idle the keyboard and palm rests of the S405 remain cool. On the left side, weak hotspots develop next to the exhaust vent. But, we only measure 32 degrees Celsius there. In office use (low load, much idle time) the temperature increases a bit. The laptop can also be used on the lap without problems in stress scenarios. Under load the temperatures only increase by an average of 2.5 degrees Celsius (36.5 degrees Fahrenheit) on the top side (at some parts by 6 degrees/42.8 degrees Fahrenheit). Our stress test is an extreme scenario, which checks the performance of the cooling system in the worst case. During the mentioned stress test with simultaneously running Prime95 and FurMark, the CPU clocks of the four cores fall to 908 MHz. The HD 7600G has priority in such scenarios and clocks steadily with 423 MHz (core). The CPU clock immediately changes after the GPU stress ends. Thanks to Turbo the clock of each core individually varies between 900 MHz and 1,800 MHz. (+) The average temperature for the upper side under maximal load is 31.4 °C / 89 F, compared to the average of 29.4 °C / 85 F for the devices in the class Office. (+) The maximum temperature on the upper side is 38 °C / 100 F, compared to the average of 33.9 °C / 93 F, ranging from 21.2 to 62.5 °C for the class Office. Two speakers sit on the underside at the front. Their sound emphasizes mid tones and lacks bass and differentiated treble. 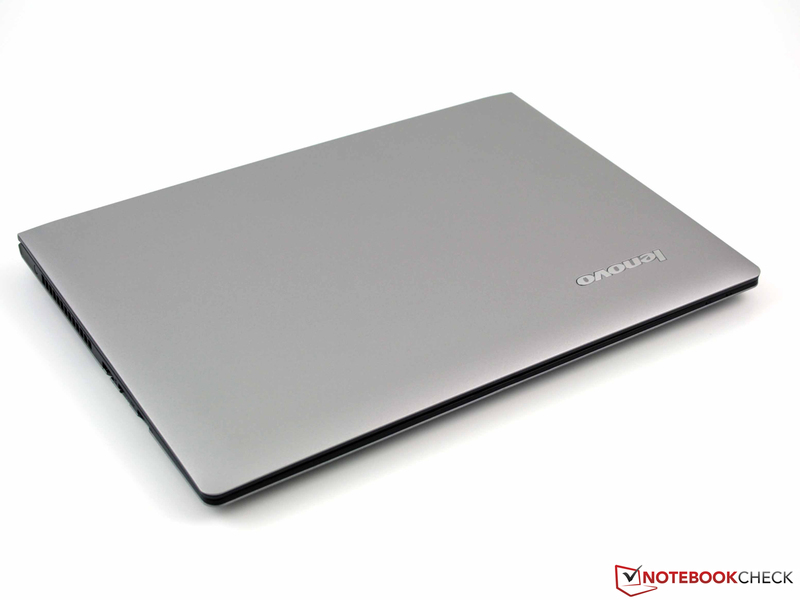 The volume is decent for a notebook and is sufficient for a small room (e.g. for a presentation). There are no distortions when turned up loud, which is probably due to the low-vibration rubber cushion of the two speakers. The 14-incher proves to be frugal. But considering the small battery capacity of 32 Wh, it should have been even more frugal. The Aspire V5-431 (8-11 Watts) and Samsung's 535U3C (7-14 Watts, significantly brighter!) also have a power consumption between 7 and 12 Watts while idle. The 14-inch IdeaPad S400 (5-8 Watts) is really frugal, but disappoints with a similarly dark display. The difference between the Intel platform (S400) and the AMD-Trinity (S405) gets apparent under highest load. The HD 7600G requires 27 Watts during computer games or other load (tested with 3DMark 06). As the Turbo favors the Radeon in the stress test and limits the CPU clock to 900 MHz, we only measured 26 Watts here. If only Prime95 or FurMark run, the power consumption is 26 or 25 Watts. The Intel system needs 18 Watts under GPU load and 30 during the stress test. 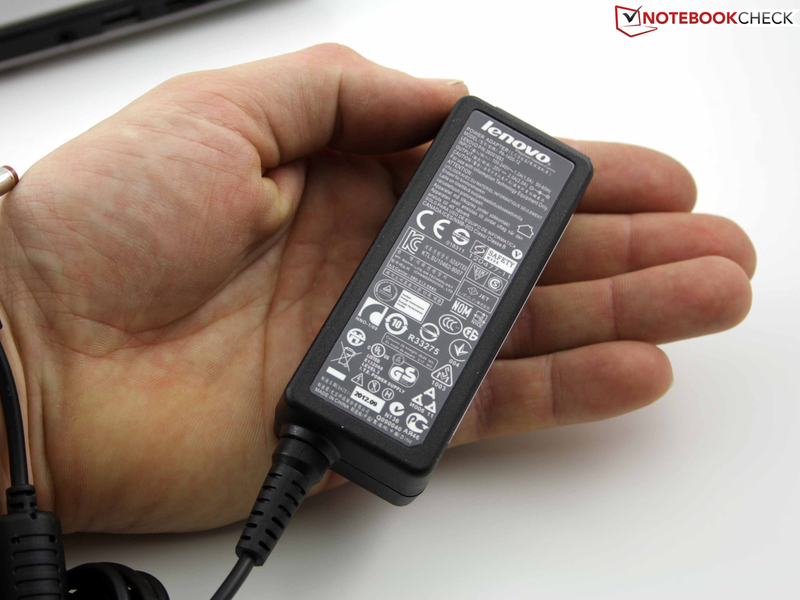 The small 32 Wh battery prevents a long battery life. While idle the 14-incher only achieves 5:37 hours (S400 5:07, 535U3C 7:00). However, minimum brightness, inactive Wi-Fi modules, and CPU/GPU at idle speed won't allow active working. The WLAN test is much more realistic. Here the laptop shuts down after 2:55 hours (S400 1:55, 535U3C 4:19). System load is low in the WLAN test. A script loads web sites in 40 second intervals. Some of them play videos (flash). The TFT-is dimmed to about 150 cd/m² (one level). 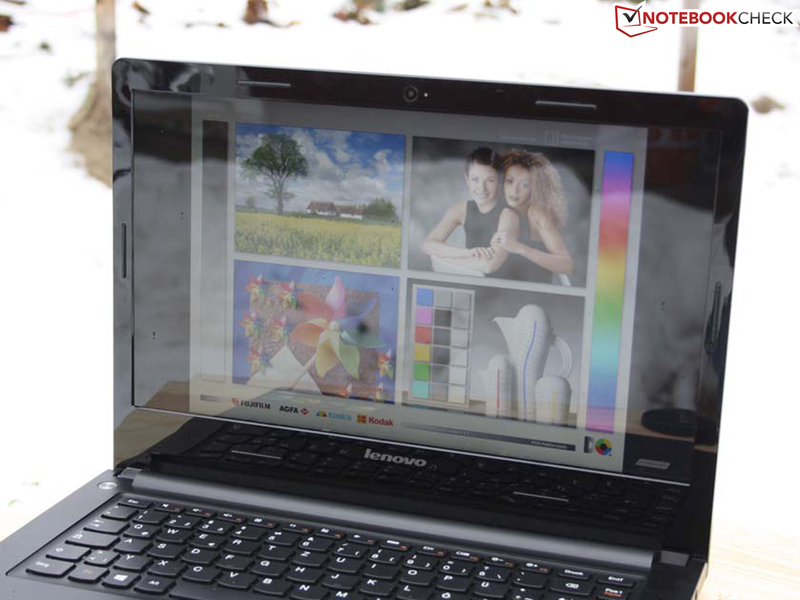 The IdeaPad U310 performs better in this aspect. Its 46 Wh battery makes 4:17 hours possible in the WLAN test and 6:31 hours while idle. 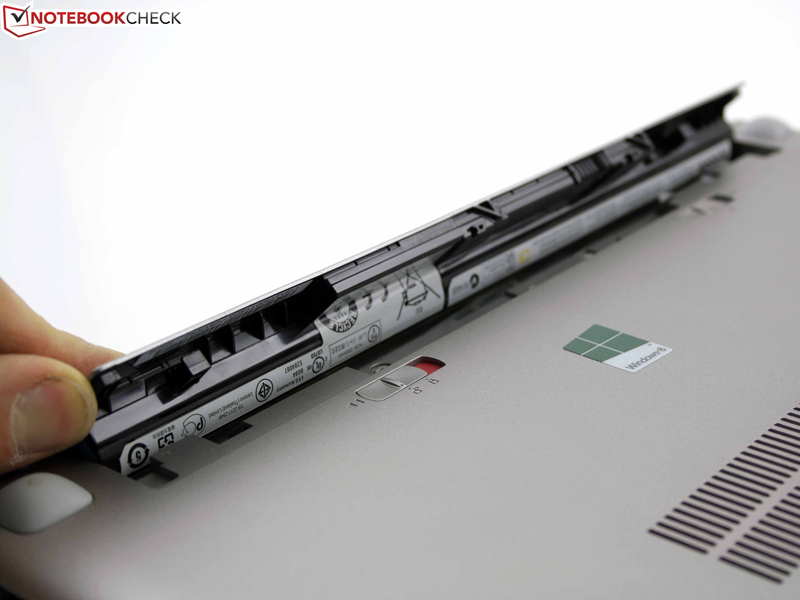 Overall, thin low-cost laptops perform worse than more expensive Ultrabooks in terms of battery life. 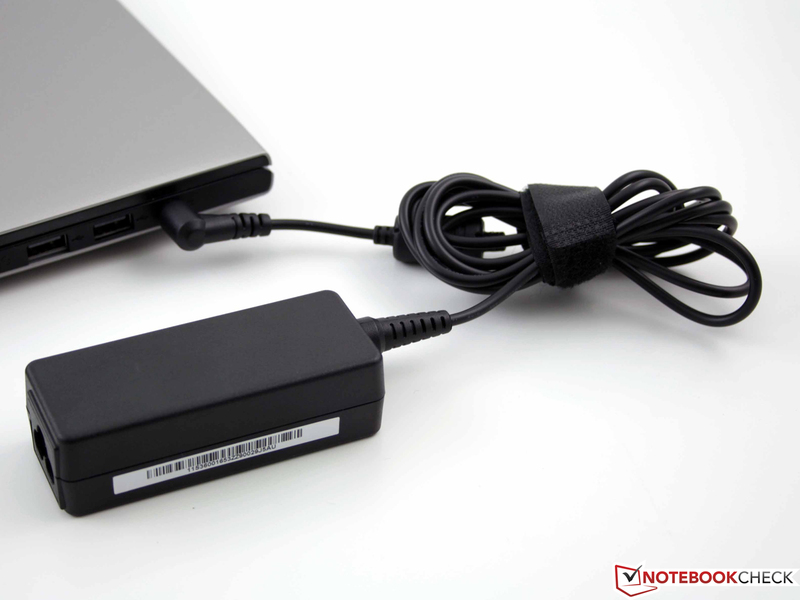 Even the wannabe Ultrabook Aspire V5-431 (400 Euros/~$523) suffers from its small 37 Wh battery (3:00 WLAN test). Sony's Vaio SVT1311M1ES (5:16 hours; 45 Wh) and Asus' UX32A-R3001V (4:22 hours; 45 Wh) are examples from the Ultrabook range. 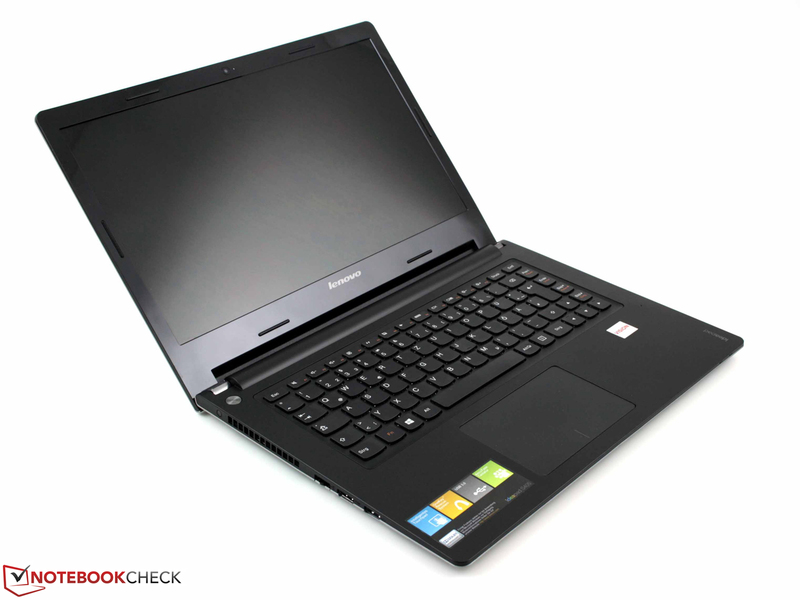 The Lenovo IdeaPad S405 (MAZ4EGE) is a frugal 14-inch laptop with relatively low performance. This would not be a problem for a lightweight (1,580 gram/~3.48 pound) notebook always on-the-move if it wasn’t for the short battery life of three hours (WLAN test). The reflective display, which is too dark for outdoor use also limits mobility. 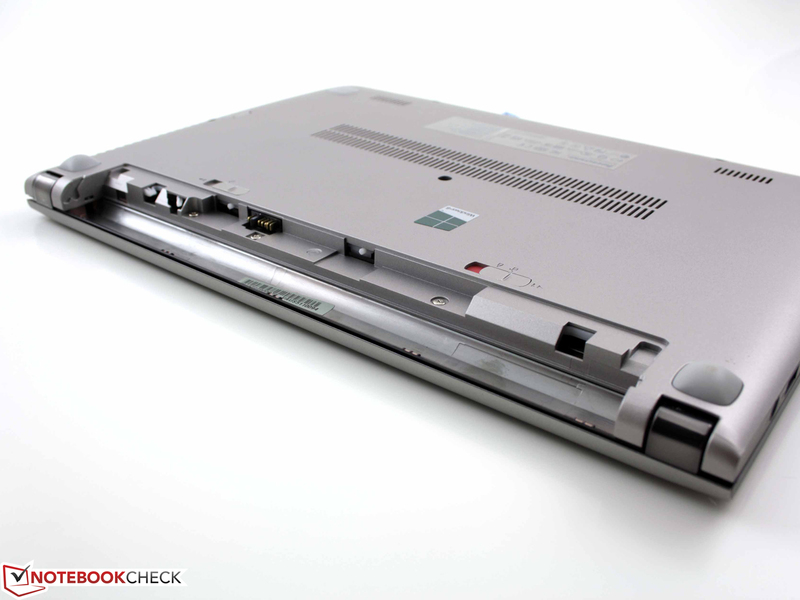 Apparently, the manufacturer did not learn anything from the Netbook era: If a laptop performs well in terms of mobility, the user will also accept low performance. Unfortunately, the S405 does not perform well in office aspects like input devices, connectivity and build quality either. 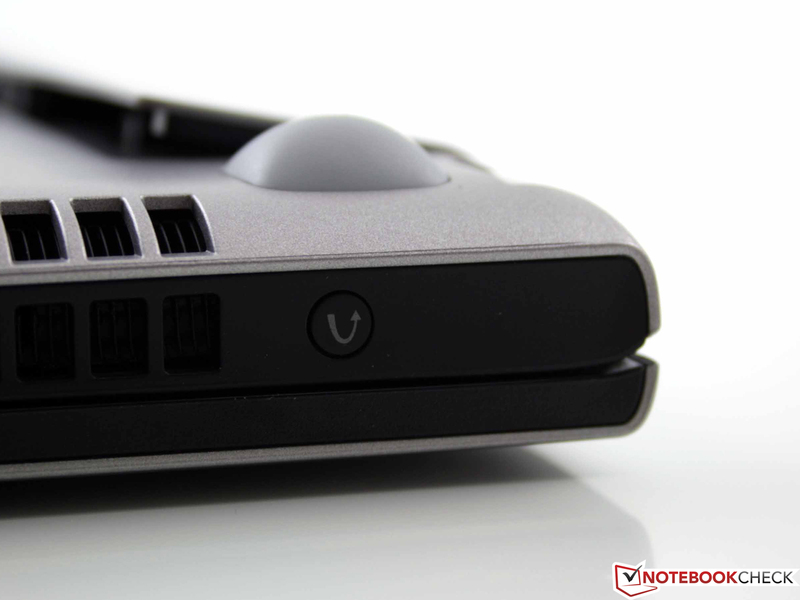 The keyboard yields significantly, VGA is missing and the base unit and lid are non-rigid. However, we appreciate low waste heat and system noise. It's hardly believable, but the temperatures remain nearly at idle level even under full load where the 14-incher never exceeds 32 dB (A). 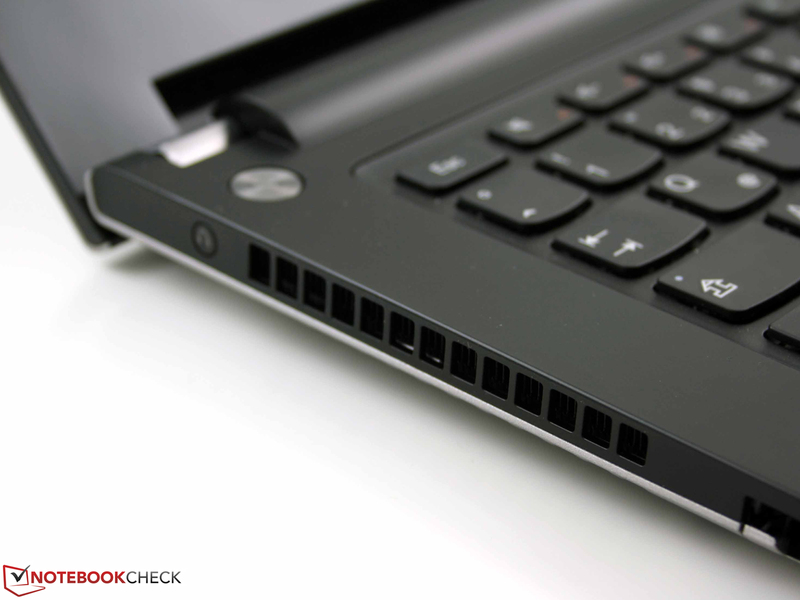 Most laptops are that loud while idle. Correspondingly, the maximum power consumption is 27 Watts (without charging). At 540 Euros (~$706) it is not really expensive. But, at best, the performance of its Radeon HD 7600G (IGP) can keep up with Intel Ultrabooks while the weak processor of the APU and single channel DDR3 slow down current games. So, the achieved frame rates are often only a tad better than the Intel HD 4000's. The strongest competitors stem from the same manufacturer. The top models of its 14-inch and 13-inch siblings, IdeaPad S400 (i5-3317U) and IdeaPad U310 (i5-3317U), do not cost more than 100 Euros (~$131) more, but calculate significantly faster. With Core i3 and optional Free DOS, they can even be notably cheaper than the S405. Due to its low Trinity performance, Samsung's 535U3C is notably outperformed, but the 13.3-incher delivers a significantly brighter and matte display and a longer battery life. The speakers are cushioned by low vibration rubber buffers. The sound is decent, but lacks bass. The CMOS battery (contains volatile BIOS information) is unfortunately soldered. The North Bridge of the AMD chip set does not require cooling. But, the APU does (heatpipe). The touchpad is stabilized by a plastic base. 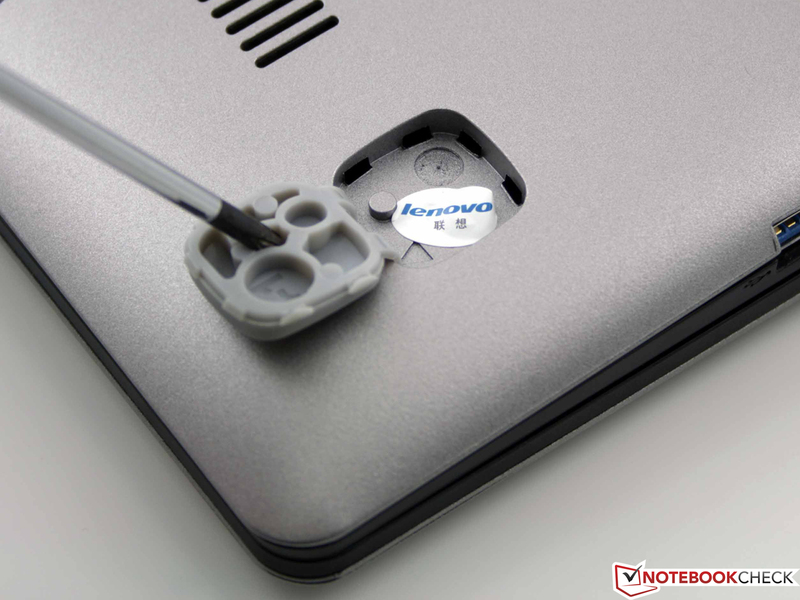 A characteristic of Lenovo laptops: The OneKey button launches the recovery tool. The battery constrains mobile use. The Intel based S400 model already had to struggle with only 32 Wh. Now we get an impression why the base unit is not resistant to twisting. You simply need to loosen the visible screws and those beneath the feet. 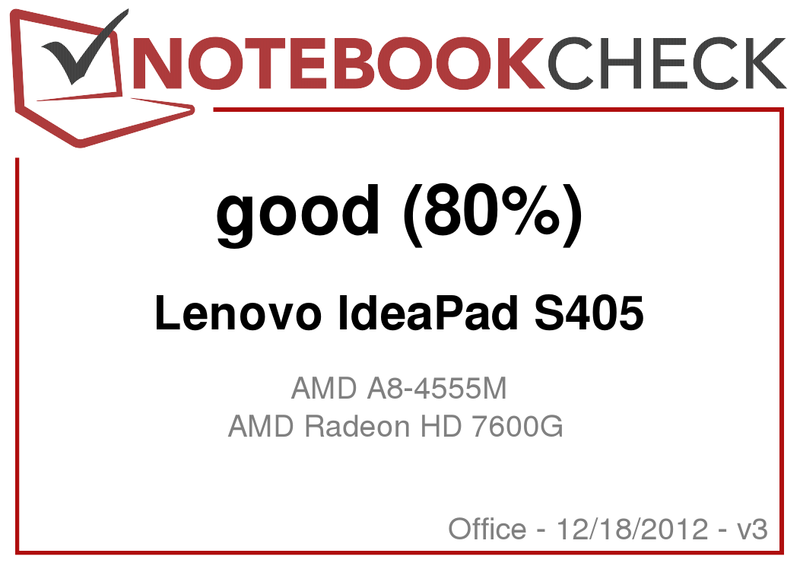 Lenovo do not (yet) list its AMD based IdeaPad S405 on its German home page. Maybe the AMD configuration shall not distract the buyers from the S400 Intel model. Or did Lenovo simply forget it? Well, this is not important for our review. In being based on the AMD Trinity platform, the 14-incher is not an Ultrabook. Apart from the big touchpad the input devices are not ideal for prolific writers. Despite a sufficiently long key travel a springy keyboard is not ideal. In addition, the base unit notably twists and reduces the quality experience. It lacks some interfaces and some are not up-to-date (no Gigabit-LAN). The underside of the S405 does not house a maintenance hatch, but only a big fan grille. But, the base plate can be removed completely. 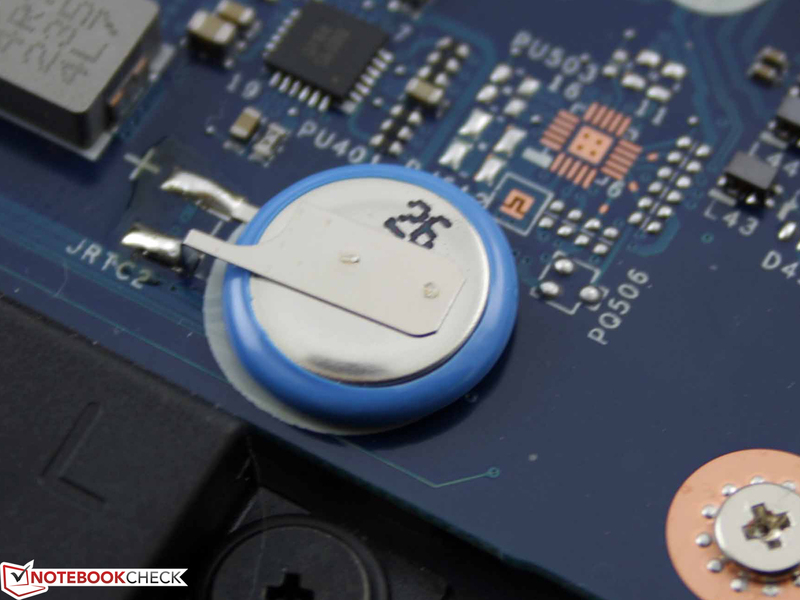 The weak 32 Wh battery prevents long battery life. If low power at all cost, then the battery life should be long and the display bright and matte. The S405 AMD model is not even cheaper than its Intel based S400 sibling. 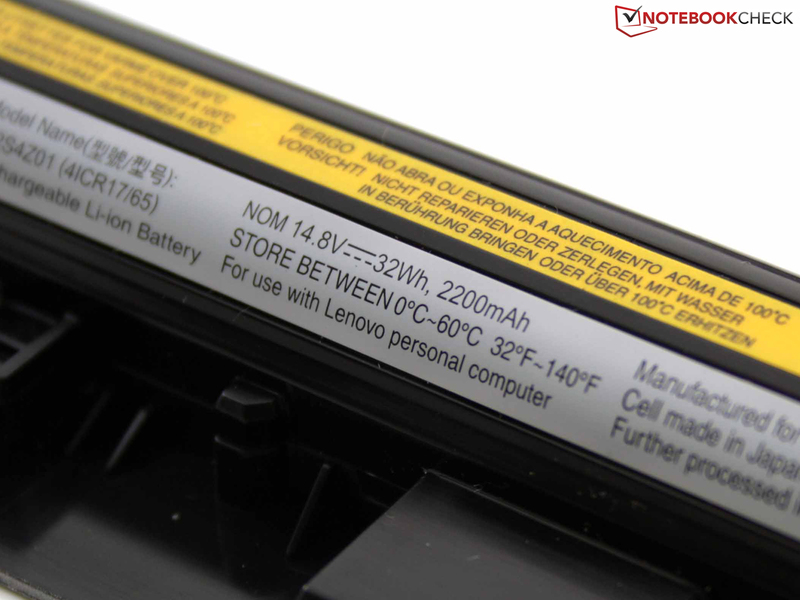 Because of the weak 32 Wh battery Lenovo unfortunately misses a long battery life.